25 October 2016. 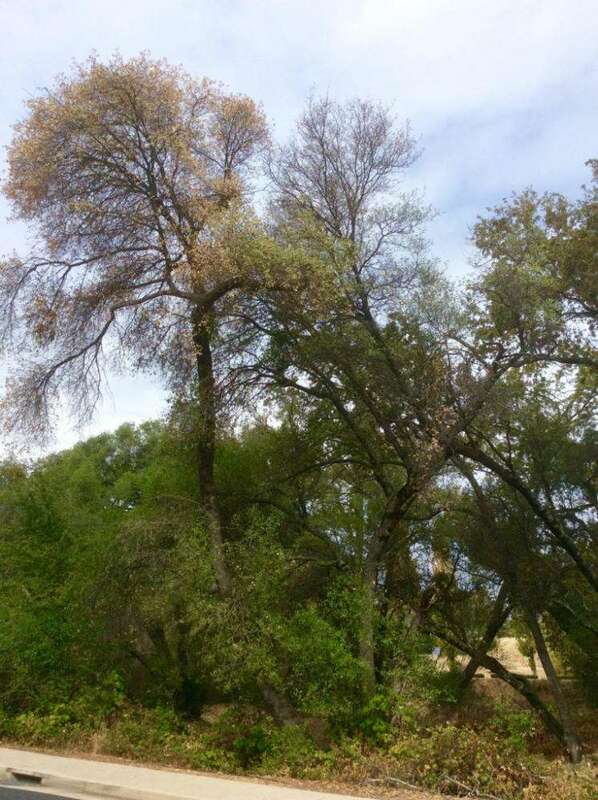 Paul Cooper reports that he found another foamy bark canker infested live oak, in Greenhorn Creek, across the street from the Cooper1/golf course tree. 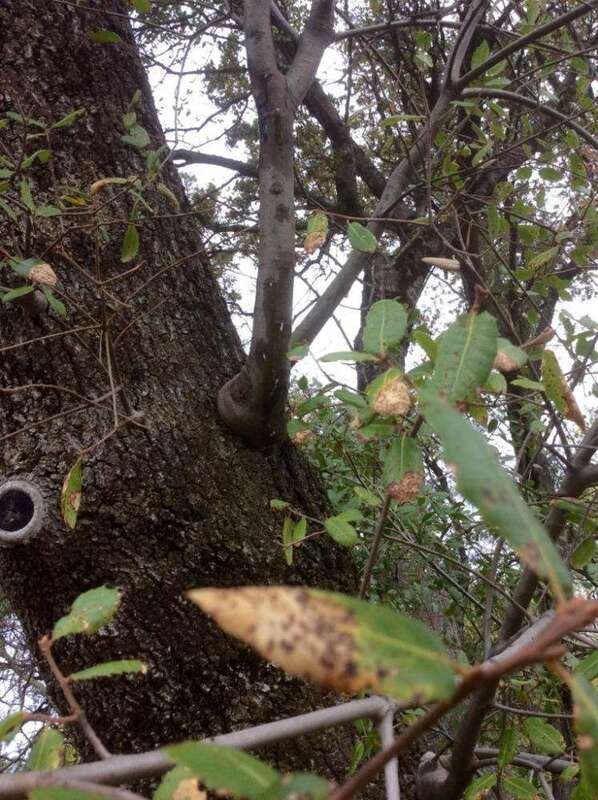 This interior live oak tree does not appear to have cankers down at the base, but shows foamy attacks higher up, in the newer, and thinner, bark. The tree is declining rapidly. This is more striking, being that Scott Oneto, Paul Cooper, Allan Ramorini and two of his lead men, and I, were at the “Cooper1 tree” about a month ago, and none of us noticed any decline in this second tree, that is just across the street. The fading of Cooper1 was obvious, but none of saw it. Now, it is readily apparent that this tree is fading fast, and that this fading took only about one month. 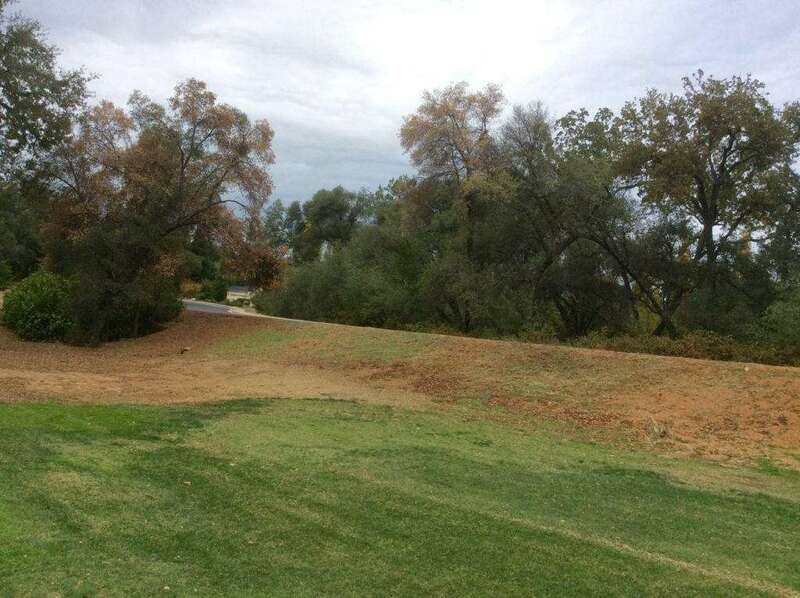 To support this claim, we again took the July 2012 Google Street View image, and the 2 April 2015 Bing Street View image, and placed them here to compare the tree over time. Again, the tree shows no decline in the previous years. To see this tree, as well as Cooper1 (across the street), use this link. 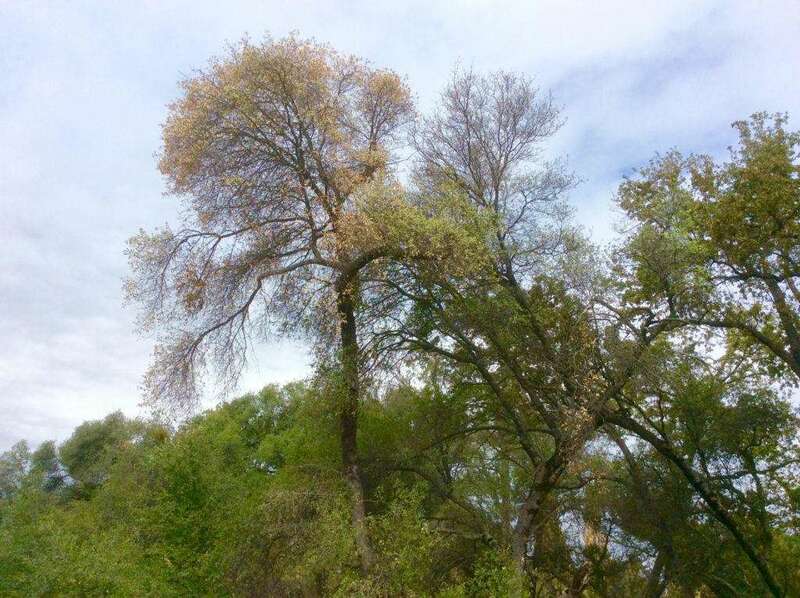 “Cooper1”, on left was the “Golf Course” tree that was sampled for foamy bark canker in September. Now, we have “Cooper2”, dying, across the street from Cooper1. This decline appears to have occurred within a month. 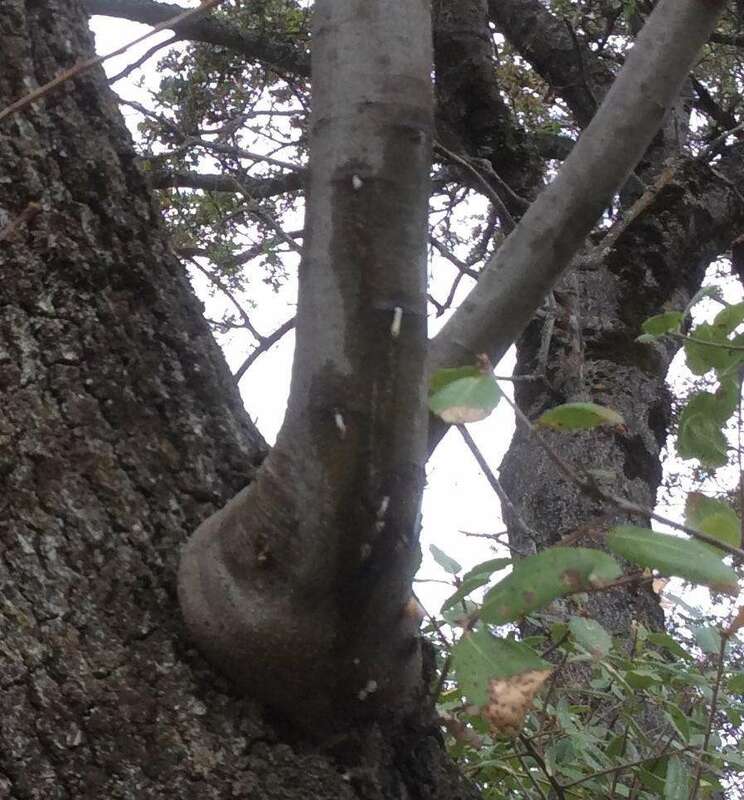 Foamy cankers are apparent higher up, on thinner barked branches, but not found on the lower trunk. 25 October 2016. Photo by Paul Cooper. Cooper2 shows a general overall decline, and it is happening very quickly. 25 October 2016. Photo by Paul Cooper. Cooper2 shows a general overall decline, and it is happening very quickly. 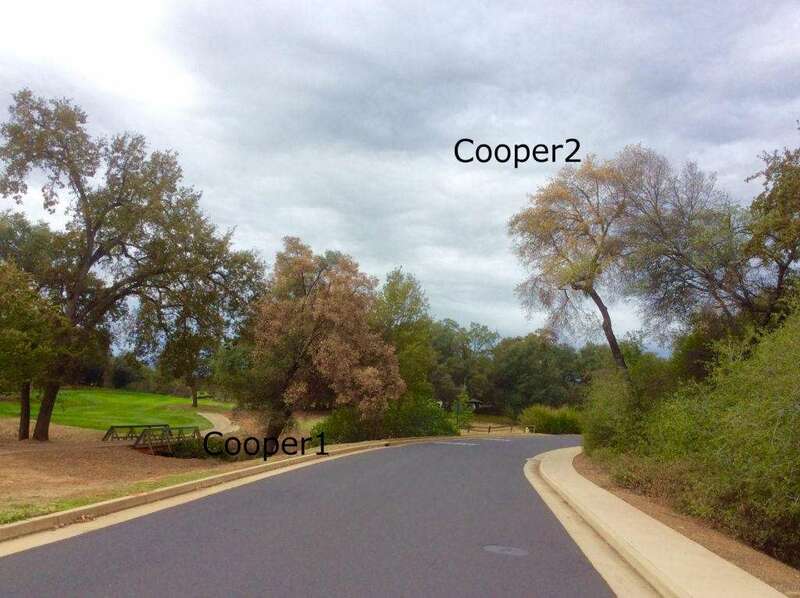 Cooper1 is on the left side of the road. 25 October 2016. Photo by Paul Cooper. Cooper2, 25 October 2016. Photo by Paul Cooper. Cooper2 live oak, in the July 2012 Google Street View. Cooper2 live oak, in the April 2015 Bing Street View. 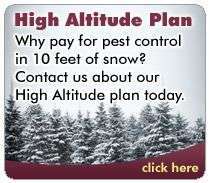 The arrow points to Cooper2.